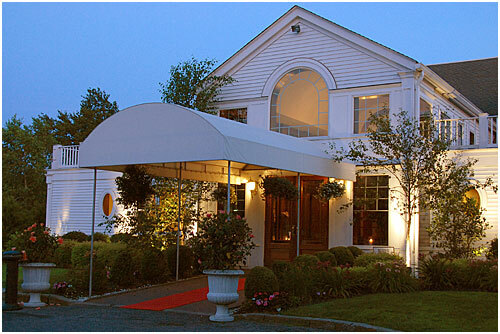 Bellport, NY – Raising funds for three Long Island non-profits, an evening of great food and drink is planned for June 10, 2010 from 6-10pm at the Bellport Country Club. The event is sponsored by the Bellport Chamber of Commerce, South Shore Wine & Liquors, and Bellport Cold Beer and Soda. “We are so grateful for the local support,” said Dave Schultzer, owner of Bellport Beer & Soda and one of the event organizers. “When everyone pulls together for these charities, great things can happen. The Long Island breweries jumped in as soon as I made the calls. It will be a fun time for all,” he added. The event includes beer and wine sampling from the top Long Island producers. Breweries like Blue Point Brewing Co. and Southampton Ales & Lagers will be joined by some of Long Island’s newest breweries, including Great South Bay Brewery, Fire Island Beer Co., Greenport Harbor Brewing Co., Long Ireland Beer Company, and Barrier Brewing Co. Some of the region’s best breweries, including Samuel Adams, will also be in attendance serving their best craft beers to event attendees. Avino’s Italian Table, The Bellport, Meritage, Pine Grove Inn, Porters On The Lane, Chachama Grill, and the South Country Inn are among the many restaurants who are participating in this evening of great food, wine and beer. Tickets are $37.25 when purchased online in advance at or $45 if purchased at the door on event day. Proceeds will go to Camp Pa-Qua-Tuck, The Lighthouse Mission, and the Bellport High School scholarship fund. Located in Center Moriches, Camp Pa-Qua-Tuck helps children and adults with disabilities achieve equality, dignity, and maximum independence through a safe and quality program of camping, recreation, and education in a summer-time environment. The Lighthouse Mission (Patchogue, NY) runs several programs throughout the year to help the thousands of Long Island families in need, and the Bellport High School scholarship fund which will help educate today’s youth by making advanced education more affordable for Long Island teens and their families. “I’m sure the local community will come out once again to support this annual event. It will be a wonderful night with great give-backs to fellow Long Islanders,” said Schultzer.